Under the Data Protection Act 1998, you are entitled to request information from your clinical records, or any other personal data that we hold about you. If you request information from your records, you must make a Subject Access Request to the Practice Manager, who will respond within 21 days, and subject to payment of the appropriate fee (minimum of £10) and any applicable statutory exemption the information will be provided as soon as possible and in any case within 40 days. The Act provides no entitlement to immediate access. Where all or part of your record is held in a non-electronic form, the maximum fee payable is £50. Online access to your electronic records and, under certain circumstances, access to inspect your non-electronic records is free of charge. 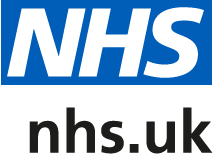 The practice may share your personal information with other NHS organisations where this is lawful and appropriate for your health care. In other circumstances we may approach you for specific consent to release personal information to a third party. Information will not normally be released to other family members without written patient consent. In some circumstances there are statutory or ethical obligations (for example, in connection with public health) for information to be disclosed to one or more third parties without your consent, however you may be consulted about these in advance. All staff have access to some or all of your personal information and health record, but only to the extent required in relation to their roles, governed by employee contractual confidentiality agreements and by the legal requirements of the Data Protection Act 1998.